Boalt Law @ UC Berkeley! 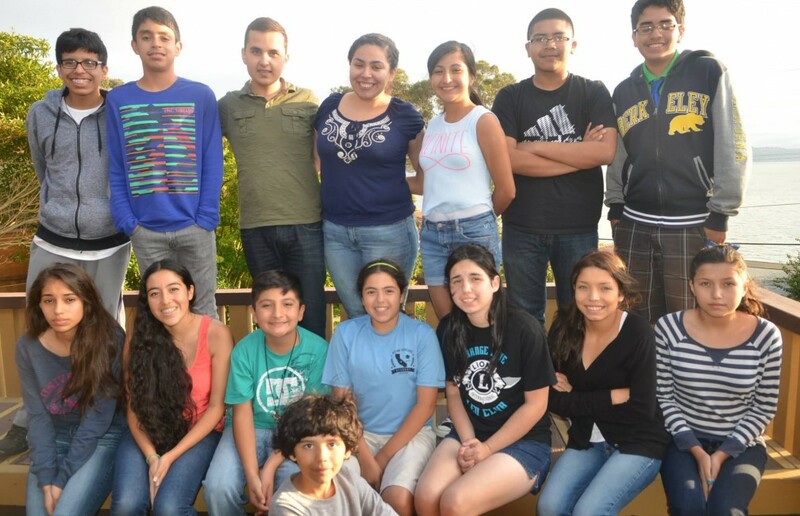 Welcome to the Rising Scholars Academy… The Academy launched last year with 13 Middle School and High School age Students and 4 Elementary students who attended UC Berkeley lastAi??summer. Ai? ?The program was a huge success with most students receiving A’s in their classes. This year we have 7 outstanding scholars who will be taking classes at UC Berkeley. Ai? ?Besides taking classes at UC Berkeley the students learn study strategies, SAT prep, have dinner with professors, lawyers, designers, Dr’s, programmers, and other talented professionals that give them an insight into their careers that is seldom experienced by middle school or high school students. Ai? ?The Rising Scholars Academy turns into an academic family that provides a safe environment where top students become life long scholars. Please visit our website often as we are just beginning to populate it with information. We will also have a second house this year with 2 students attending a program at Stanford University. Ai? ?More on that coming soon. The Rising Scholars experience is unique. Ai? ?Scholars take classes at UC Berkeley Campus with amazing teachers/professors. They usually do 1/2 year to 1 year worth of High School Work in 6 weeks! Ai? ?All while living away from home, and studying with peers that have a passion for learning, Students also have the opportunity to network with professors, college personnel, students, and professionals from all walks of life during dinner visits to the house. RSA Scholars take classes at UC Berkeley in a program that has been around since the early 80s and specializes on Academic and Talented students. Ai? ?RSA’s role is to provideAi? ?students taking these advanced classes with the adequate learning environment to facilitate an ideal settingAi? ?for the scholars to flourish. The Rising Scholars Academy was founded by Ricardo Gonzalez,Ai??Ai?? (co-founder of the now defunct CHA house, who served students from Huron, Avenal, and Coalinga from 1987-2012), his brother Eduardo Gonzalez (Program Manager at Fresno State, Brown Alumni), Ana Gonzalez (AP Teacher, Cal Alumni), and H.S. student Anais Gonzalez (The Lawrenceville School). Incorporating many of the strategies that the CHA house offered, the RSA House differs in that it focuses on a much smaller number of students. Ai? ?RSA’s student to staff ratio is 1:3. Ai? ?RSA also has opened the doors to students from all over the Central Valley and beyond. Ai? ?Although it remains true to finding gems in the San Joaquin Valley, RSA, seeks diamonds that have the potential to succeed in this ultra academic environment. Ai? ?Just like CAL, we have rejected many 4.0 applicants and have admitted applicants that show hunger for knowledge with GPA’s as low as 3.5. Under the Direction of Co-founder Eduardo Gonzalez, this year we opened our Stanford house on a trial basis. Ai? ?2 Juniors were admitted to attend a special programAi? ?at Stanford University. Ai? ?More info will be available soon.